1. With great affliction the Church has learned of the unlawful episcopal ordination conferred on 30 June last by Archbishop Marcel Lefebvre, which has frustrated all the efforts made during the previous years to ensure the full communion with the Church of the Priestly Fraternity of St. Pius X founded by the same Mons. Lefebvre. These efforts, especially intense during recent months, in which the Apostolic See has shown comprehension to the limits of the possible, were all to no avail.1Cf. “Informatory Note” of 16 June 1988: L’Osservatore Romano. English edition, 27 June 1988, pp. 1-2. 2. This affliction was particularly felt by the Successor of Peter to whom in the first place pertains the guardianship of the unity of the Church2Cf. Vatican Council I, Const. Pastor Æternus, cap. 3: DS 3060., even though the number of persons directly involved in these events might be few. For every person is loved by God on his own account and has been redeemed by the blood of Christ shed on the Cross for the salvation of all. 3. In itself, this act was one of disobedience to the Roman Pontiff in a very grave matter and of supreme importance for the unity of the church, such as is the ordination of bishops whereby the apostolic succession is sacramentally perpetuated. Hence such disobedience – which implies in practice the rejection of the Roman primacy – constitutes a schismatic act.3Cf. Code of Canon Law, can. 751. In performing such an act, notwithstanding the formal canonical warning sent to them by the Cardinal Prefect of the Congregation for Bishops on 17 June last, Mons. Lefebvre and the priests Bernard Fellay, Bernard Tissier de Mallerais, Richard Williamson and Alfonso de Galarreta, have incurred the grave penalty of excommunication envisaged by ecclesiastical law.4Cf. Code of Canon Law, can. 1382. 4. The root of this schismatic act can be discerned in an incomplete and contradictory notion of Tradition. Incomplete, because it does not take sufficiently into account the living character of Tradition, which, as the Second Vatican Council clearly taught, “comes from the apostles and progresses in the Church with the help of the Holy Spirit. There is a growth in insight into the realities and words that are being passed on. This comes about in various ways. It comes through the contemplation and study of believers who ponder these things in their hearts. It comes from the intimate sense of spiritual realities which they experience. And it comes from the preaching of those who have received, along with their right of succession in the episcopate, the sure charism of truth”.5Vatican Council II. Const. Dei Verbum, n. 8. Cf. Vatican Council I, Const. Dei Filius, cap. 4: DS 3020. But especially contradictory is a notion of Tradition which opposes the universal Magisterium of the Church possessed by the Bishop of Rome and the Body of Bishops. It is impossible to remain faithful to the Tradition while breaking the ecclesial bond with him to whom, in the person of the Apostle Peter, Christ himself entrusted the ministry of unity in his Church.6Cf. Mt. 16:18; Lk. 10:16; Vatican Council I, Const. Pastor Æternus, cap. 3: DS 3060.
a) The outcome of the movement promoted by Mons. Lefebvre can and must be, for all the Catholic faithful, a motive for sincere reflection concerning their own fidelity to the Church’s Tradition, authentically interpreted by the ecclesiastical Magisterium, ordinary and extraordinary, especially in the Ecumenical Councils from Nicaea to Vatican II. From this reflection all should draw a renewed and efficacious conviction of the necessity of strengthening still more their fidelity by rejecting erroneous interpretations and arbitrary and unauthorized applications in matters of doctrine, liturgy and discipline. To the bishops especially it pertains, by reason of their pastoral mission, to exercise the important duty of a clear-sighted vigilance full of charity and firmness, so that this fidelity may be everywhere safeguarded.7Cf. Code of Canon Law, can. 386; Paul VI. Apost. Exhort. Quinque iam anni, 8 Dec. 1970: AAS 63 (1971) pp. 97-106. However, it is necessary that all the Pastors and the other faithful have a new awareness, not only of the lawfulness but also of the richness for the Church of a diversity of charisms, traditions of spirituality and apostolate, which also constitutes the beauty of unity in variety: of that blended “harmony” which the earthly Church raises up to Heaven under the impulse of the Holy Spirit. b) Moreover, I should like to remind theologians and other experts in the ecclesiastical sciences that they should feel themselves called upon to answer in the present circumstances. 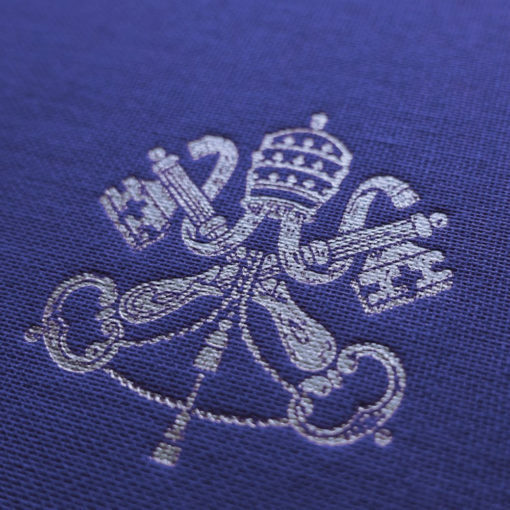 Indeed, the extent and depth of the teaching of the Second Vatican Council call for a renewed commitment to deeper study in order to reveal clearly the Council’s continuity with Tradition, especially in points of doctrine which, perhaps because they are new, have not yet been well understood by some sections of the Church. c) In the present circumstances I wish especially to make an appeal both solemn and heartfelt, paternal and fraternal, to all those who until now have been linked in various ways to the movement of Archbishop Lefebvre, that they may fulfil the grave duty of remaining united to the Vicar of Christ in the unity of the Catholic Church, and of ceasing their support in any way for that movement. Everyone should be aware that formal adherence to the schism is a grave offence against God and carries the penalty of excommunication decreed by the Church’s law.8Cf. Code of Canon Law, can. 1364.
c) moreover, respect must everywhere be shown for the feelings of all those who are attached to the Latin liturgical tradition, by a wide and generous application of the directives already issued some time ago by the Apostolic See for the use of the Roman Missal according to the typical edition of 1962.9Cf. Congregation for Divine Worship, Letter Quattuor abhinc annos. 3 Oct. 1984: AAS 76 (1984) pp. 1088-1089. 7. As this year specially dedicated to the Blessed Virgin is now drawing to a close, I wish to exhort all to join in unceasing prayer that the Vicar of Christ, through the intercession of the Mother of the church, addresses to the Father in the very words of the Son: “That they all may be one!”. Given at Rome, at St. Peter’s. 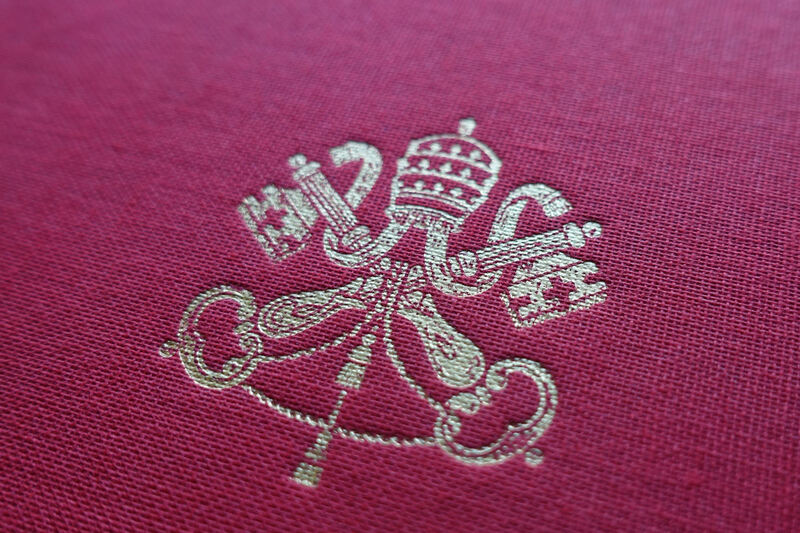 2 July 1988, the tenth year of the pontificate.